Facial paralysis or weakness is as the partial or total loss of voluntary facial movement because of facial nerve damage. This condition occurs due to temporary or permanent damage to the facial nerve. It usually occurs on just one side of the face, but can involve both sided of the face, or just the lower portion of the face (Fig 1). Facial paralysis or weakness can be very disfiguring as the ability to smile is impaired ( Fig.2). In any event, this causes a major cosmetic problem and is very distressing for the patient. If the paralysis persists, surgery may be required to improve facial expression. Can involve one side of the face (unilateral facial paralysis) or both sides of the face (bilateral facial paralysis). 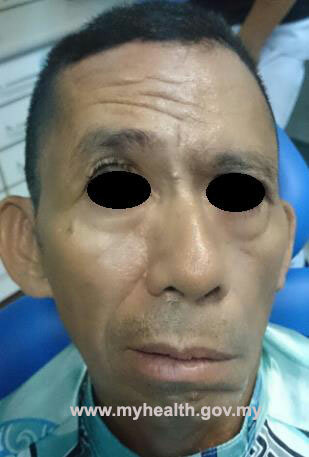 Unilateral paralysis is usually associated with hemifacial microsomia. Bilateral cases often result from Moebius (or Möbius) syndrome which is an extremely rare congenital neurological disorder that primarily affects the muscles that control facial expression and eye movement. Acquired (occur at any time in life). Happen when injury to the brain or facial nerves during or after birth. Trauma to branches of the facial nerve. 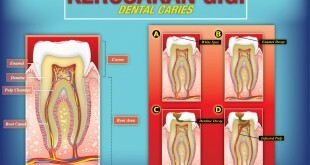 Inferior dental regional anaesthetic affecting the facial nerve. Facial asymmetry ( Fig. 1). Difficulty keeping liquids in the mouth. Difficulty closing the eye with drying or tearing of the eye (Fig.3). Fig 1: Facial asymmetry at rest .The left side of the face droop with inability to raise the eyebrow. 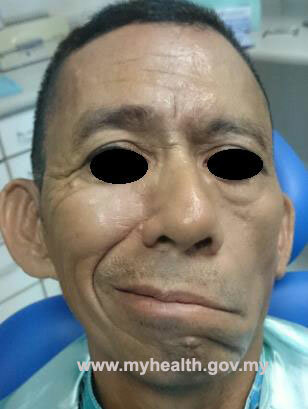 Fig 2 : Patient attempting a smile.The left facial paralysis become more noticeable. Fig 3: Unable to close the eyelid tightly. Persistent facial weakness – Facial weakness can cause facial disfigurement which can have far-reaching psychosocial consequences. Psychological problems include stress, anxiety, depression and low self-esteem. Please kindly seek help or discuss with your clinician if you experience any of the above symptoms. Eye problems – The eyelid is too weak to close completely and staying open for long period of times. The lack of protective tear film can result in excessive eye drying, infection and corneal ulceration or even worse, being blindness. The complications can be prevented by the use of eye drops, eye ointments and eye patches. In some cases, surgery is needed to restore eyesight or improve the eye closure. Synkinesis – There is involuntary contraction of facial muscles responsible for movement, smiling and blinking. When intentionally trying to move one part of face, another part automatically moves. This happen as a result of nerve fiber begins to regrow in the wrong direction. It may be discomfort and interfere with the daily activities. Management of the patient with facial paralysis is a multidisciplinary endeavour. Treatment of facial paralysis may be medically or surgically depending on the cause. Anti-inflammatory medication- A short course of oral steroid (e.g. prednisolone) to reduce the inflammation surrounds the nerve. Antiviral medication may help if it is viral related infection. Massage- Facial massage may help to strengthen the facial muscle and prevent permanent damage. If do not recover fully, cosmetic surgery may be recommended to improve eye closure and facial appearance. Placement of small gold weight in the upper eyelid to help the eye close more properly. Botulinum toxic injection – to reduce involuntary facial movement and to restore some facial expression and contour. Lower eyelid shortening procedures to prevent eye dryness and improve eye closure. Eye protection is primary concern to prevent ulceration of the cornea of the eye. Keep the eye moist by using artificial tears throughout the day and apply a lubricant at night. Seek treatment immediately if encounter eye pain, redness or visual loss despite lubrication. House JW, Brackman DE; House Brackman Facial Nerve Grading System 2010. Scully, Crispian. (2013). 13 –Sensory and motor changes and taste abnormalities. In C. Scully (Ed. ), Oral and Maxillofacial Medicine (Second Edition) (pp. 119-130): Churchill Livingstone.